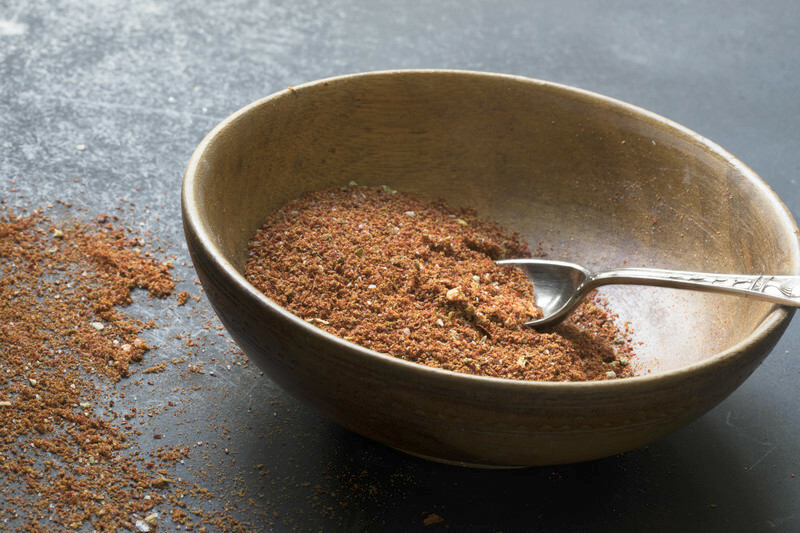 This is the best homemade fajita seasoning from scratch. Use it on fajitas, tacos, quesadillas, and even chili. Rub on grilled steak, chicken, seafood and much more. Combine and store in a tightly sealed container. Approximately 2 tablespoons equals 1 seasoning packet. I use at 1 pound of chicken breasts or steak and grill it, then cut meat into strips. You can grill the vegetables too (green and red peppers and onions), or just saute them. For the 1/4 cup of liquid, I use a little white wine and fresh lime juice. Outstanding. *Use beef bouillon cube for steak fajitas. Here's a great side kick. Many more authentic Mexican food recipes at the link below.